13/04/2019: We took my well travelled son here, after much praise from us. Comments like "you wont be disappointed" "food is always excellent" etc. 12/04/2019: Just came to visit as a spur of the moment on Tuesday evening . Best decision as the food & service was fantastic. The waiter helped with suggesting what we should eat & he was right every time. 16/04/2019: Loved this place. Great food at reasonable prices. Cannot fault the all day breakfast! 19/04/2019: We enjoyed a lovely meal here in a very friendly environment. The barman Harry and our waitress were very welcoming and we most definitely will return soon when next in Harwich. 17/04/2019: Unique gem in old Harwich near the water. 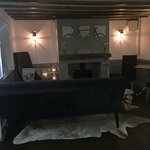 Fantastic atmosphere, beautiful spacious bedroom and wonderful menu .Very friendly and popular with locals. Old time mariner/Victoriana feel. Good value and will definitely be back .Thanks! 13/04/2019: Very friendly and a good atmosphere. The food was very tasty and plentiful . Thoroughly enjoyed the evening, and drinks at the bar were reasonable too. I'd definitely recommend it . 07/04/2019: Accidentally came across this place whilst staying nearby for a few days. Ate there on a Friday night. Have to say one of the best Thai meals I’ve ever had. Loved it. Intimate little restaurant that feels authentic. The staff are brilliant. Attentive and polite. 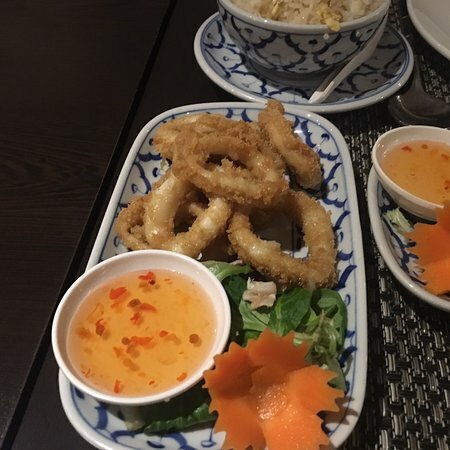 13/04/2019: Excellent food, knowledgeable staff, relaxed and happy atmosphere. We visit as a couple and also with family and friends. Never disappoints! 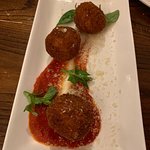 09/04/2019: This was our first visit to Lucca’s and we expected a quality meal such was the positive feedback from friends who had been before. 19/04/2019: Called in on the off chance for lunch and were very pleased we did. Lovely hot freshly cooked food. Fish & chips and the monk fish/scallops/prawns/mussels which was excellent. Reasonably priced for what we chose. Good range of drinks/beers. Will definitely call in again on our next visit to Walton. 13/04/2019: A strange looking place looks from the outside like a transport caffe you may find on a motorway, the inside is also a bit like that. 13/04/2019: Four of us paid a lunchtime visit to celebrate a birthday and it was a most pleasant and enjoyable meal. 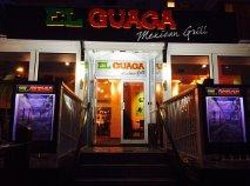 The food was excellent, the staff were helpful and very pleasant. Will return soon for another celebration. 13/04/2019: Friends visiting from London wanted to have lunch by the seaside so we chose No. 1 Harbour Square overlooking the Marina. 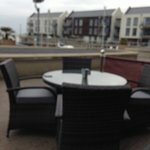 We were all very impressed with the quality of food served and the efficiency of the staff who were very welcoming. On a summers day it would be the perfect setting. 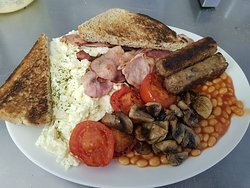 07/02/2019: Lovely clean and comfy, staff are very pleasant and friendly. 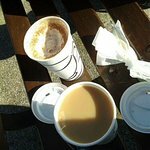 The coffee was excellent in flavour and heat on a very cold blowy day. 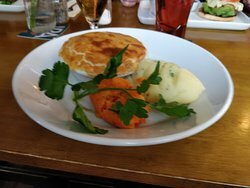 16/04/2019: Traditional pie mash and liquor cannot be surpassed and Whites really hits the spot. A cash only policy and a simple menu makes sure your visit is quick fast and easy. Not to mention a special treat. Truly a taste from the past and very much a holiday highlight. 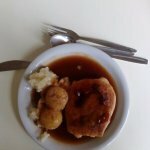 19/03/2019: This is the best pie and mash shop outside london.very very clean and tidy all tables being cleaned all the time Food deliciouspie mash eels and liquer. 22/03/2019: As we have moved to jaywick we decided to try out the local facilities. The Three Jays pub is within walking distance of our house and, as we had heard good things about their food, we decided to give it a try. The food was excellent with generous portions, well cooked and the service was admirable. I would heartly recomend the palce to antone. 18/02/2019: I had my birthday party at this lovely venue last weekend with about 30 of my friends plus the friendly locals. The entertainment that night was the duo Maggsy and Lisa Bridge who were magnificent. 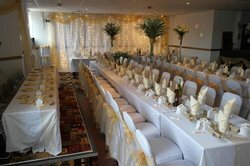 The landlord Steve and his staff were very welcoming and the buffet provided was excellent value. The size of the bar area was great for the amount of people there who wanted a bit of singing and dancing. I would highly recommend this pub. 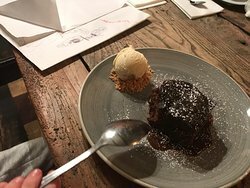 16/04/2019: Booked a table on a Saturday night for 7.45, when we arrived the table wasn’t ready so had a 20 minute wait, the food was good. Lots of choice on the menu and a good choice of drinks/cocktails. Will definitely return. 14/04/2019: Have always seen this place but never eaten. Here. Big fan of Mexican. 15/04/2019: Went here on a Sunday evening and was surprised that the buffet was available. However, the food was great and their was plenty of it all cooked to order. Can’t fault the quality of the food. 26/02/2019: We visited for a banquet night the starters were average nothing special and a small portion, the mains were 2 different curries and 2 sides orders but all were covered in a red masala type of sauce so all tasted the same. Ok for a banquet/ buffet style meal but no authentic flavours. 12/04/2019: Disgusted with this cafe, horrible owners, unfriendly and surrounded in cockroahes! not worth a star in my opinion! 28/03/2019: The Bicycle is an absolute gem in the heart of the Countryside. It has recently had a spruce up and this has been very tastefully done. We live over 40 miles away but if we are in the area we like to pop in. We visited today and nice to see they have a selection of various Gin’s outlined on a chalk board. I loved the Seville Orange Marmalade Gin; oh so refreshing. The choice of starters, mains and desserts are extensive and displayed on chalk boards giving it a rustic feel. We both went for the top leg of lamb steak which was fabulous; sweet and nicely cooked and seared. We finished off wirh me having the apple crumble and custard whilst my wife had the syrup sponge and cream. Both mouth watering and delicous. This us a venue well worth visiting. Mine host is realky passionate about her business and realky makes you so welcome. She has excelkent staff to back her up as the whole team are polite, smartly turned out and above all else efficient and pleasant. Well done team Bicycle. 23/02/2019: This is now my second time of coming here and it was every bit as good as the first! 31/03/2019: Went here with family for Mothers day. Food is always good. I was disappointed that the menu was almost the same as a usual Sunday lunch menu but the price was £5 more. 30/03/2019: My wife and I had our anniversary meal tonight and we were delighted with everything from start to finish. 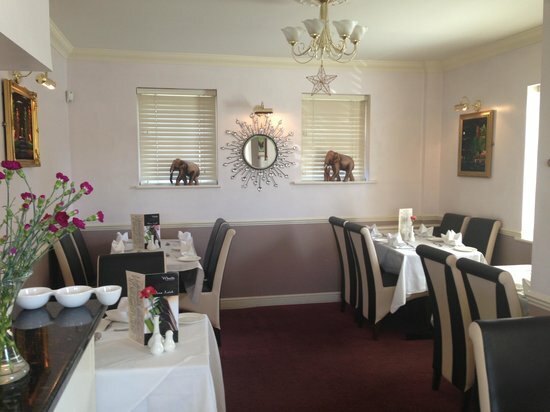 The service was excellent, the food was excellent and the settings were excellent. Highly recommended.